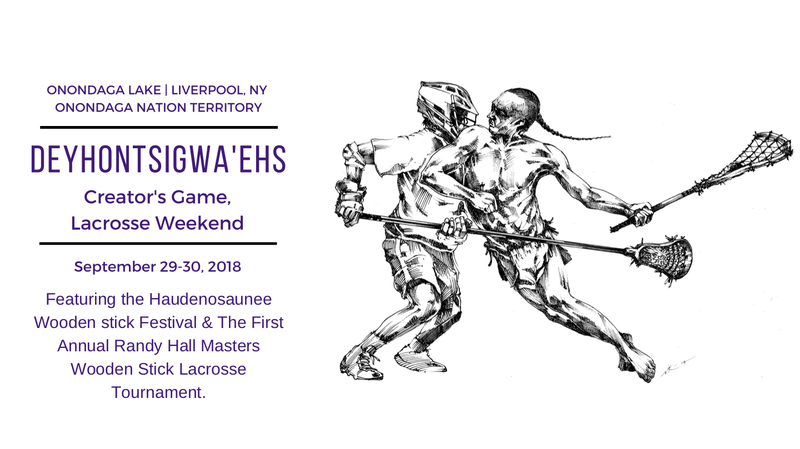 A unique and exciting weekend of events is happening in Central New York celebrating the origins of Lacrosse at Onondaga Lake which is the birthplace of the game we now call Lacrosse. The festival will feature Native American/First Nations People’s wooden lacrosse stick makers, and other crafters. There will also be traditional Haudenosaunee singing, dancing, and foods. As an educational and entertainment event for the whole family, there will also be plenty of educational and entertainment options including some engaging guest speakers. Thohneñ’datek Thomas Randall “Randy” Hall, Akwesasne Mohawk Wolf Clan, passed away January 18, 2018. He served in Vietnam with US Army (1965-68) and he also participated in the 1972 AIM takeover of the Bureau of Indian Affairs in Washington D.C. He loved sports and he was deeply involved with the Onondaga Athletic Club where he played and coached lacrosse and basketball teams. One of his favorite things to do was to travel and be part of tournaments. 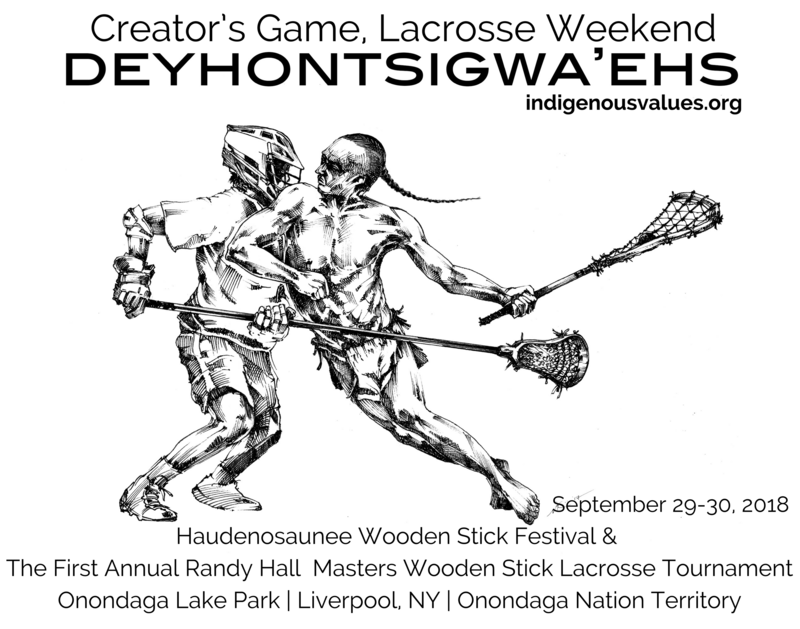 In his memory the Haudenosaunee Wooden Stick Festival honors him by naming the wooden sticks tournament after him. ( Syracuse.com Obituary). The inaugural Haudenosaunee Wooden Stick Festival was held at Onondaga Lake in 2013. 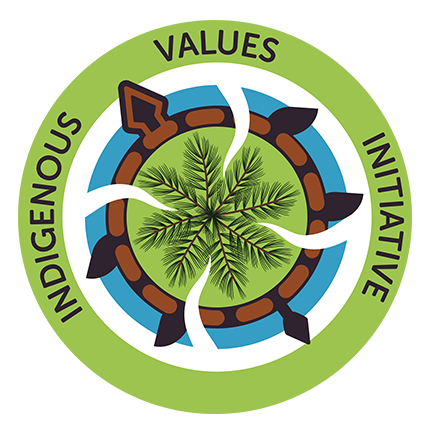 The games had previously been played exclusively on Haudenosaunee Nation territories, but in 2013, Randy Hall asked Philip P. Arnold and Sandy Bigtree for help in bringing the game back to Onondaga Lake––its place of origin––where the Peacemaker arrive well over 1,000 years ago bringing peace to five warring nations. Deyhontsigwa’ehs, the Creator’s Game, was an integral part of this process. This ancient game is still play ceremonially among the Haudenosaunee. It is played hard, but always played to foster good relationships between human beings and the natural world. There will be referees, a tent for changing, a box sized field marked out on the grass with 4×4 nets by Onondaga Lake. Players will be responsible for helmets and gloves, and wooden stick is preferable. Teams will be responsible for their jerseys. Wooden sticks are preferred but not required. Rules forthcoming. The tournament entrance fee is $200 per team. First Prize: Leather Game Ball, Plaque, $150 cash. Second Prize: Plaque & $75 cash. Third Prize: Plaque & $75 cash. 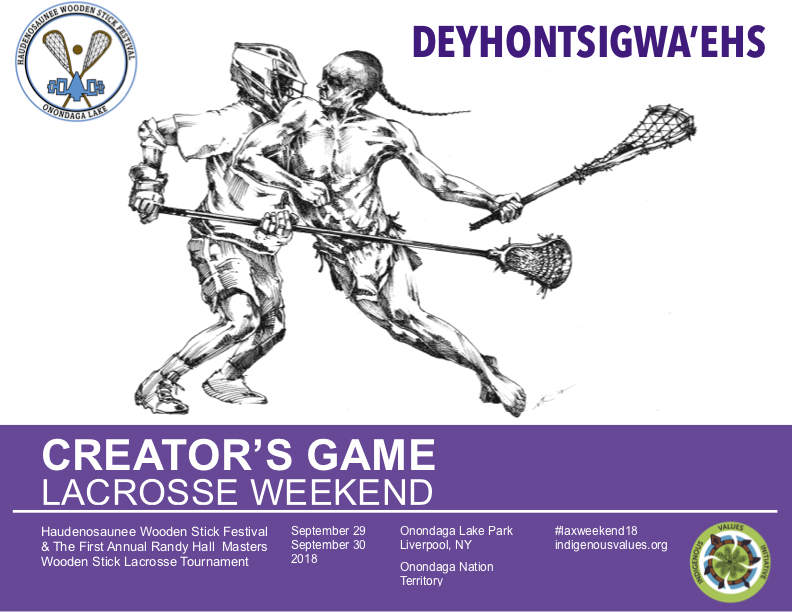 There are a lot of ways to get involved with the Deyhontsigwa’ehs-The Creator’s Game, Lacrosse Weekend. You can attend the event or you can take part in the festivities by playing in the tournament, being a vendor, or by being a sponsor. The Haudenosaunee (who have been labeled “Iroquois”) are the originators and keepers of the game now known as “lacrosse.” Deyhontsigwa’ehs (“They Bump Hips”, in the Onondaga Language) is thier word for the game, which is also referred to as “The Creator’s Game.” The Onondaga Nation is the “Central Fire” of the Haudenosaunee Confederacy of six separate nations (Mohawk, Onondaga, Oneida, Cayuga, Seneca, and Tuscarora). 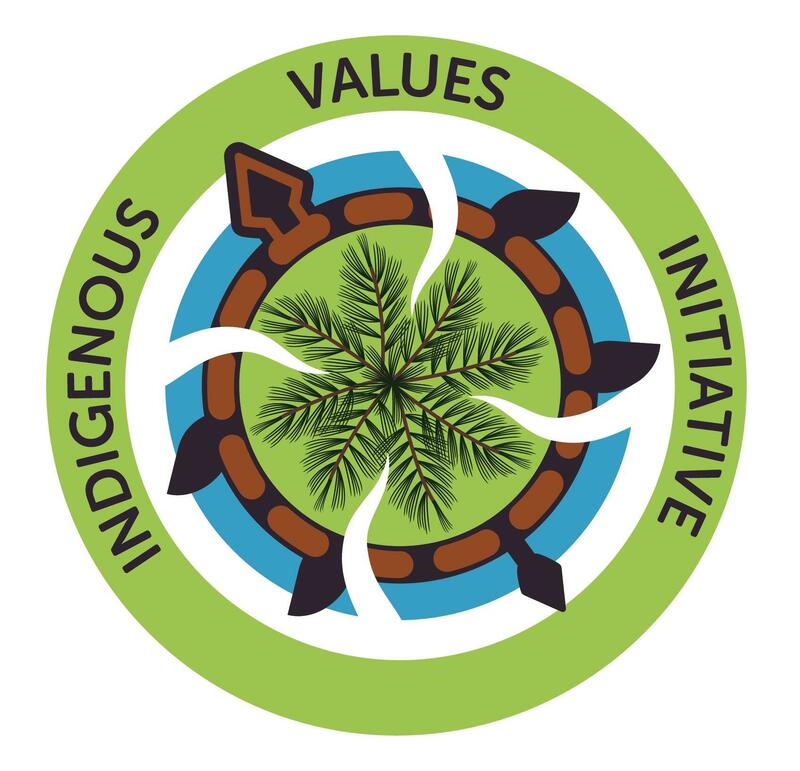 Indigenous Values Initiative is dedicated to educating articulating, disseminating and promoting the values expressed by the leadership of the Onondaga Nation, the Central Fire of the Haudenosaunee Confederacy (made up of the Seneca, Tuscarora, Cayuga, Onondaga, Oneida, and Mohawk Nations). 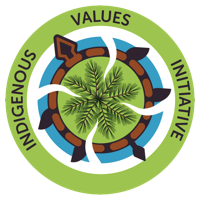 To learn more visit About Indigenous Values initiative . Download the Main Print Deyhontsigwa’ehs––The Creators Game Lacrosse Flyer featuring “The Art of Lax” by Vincent Ricasio Flyer as a PDF. Download the Main #laxweekend18 flyer as an image. 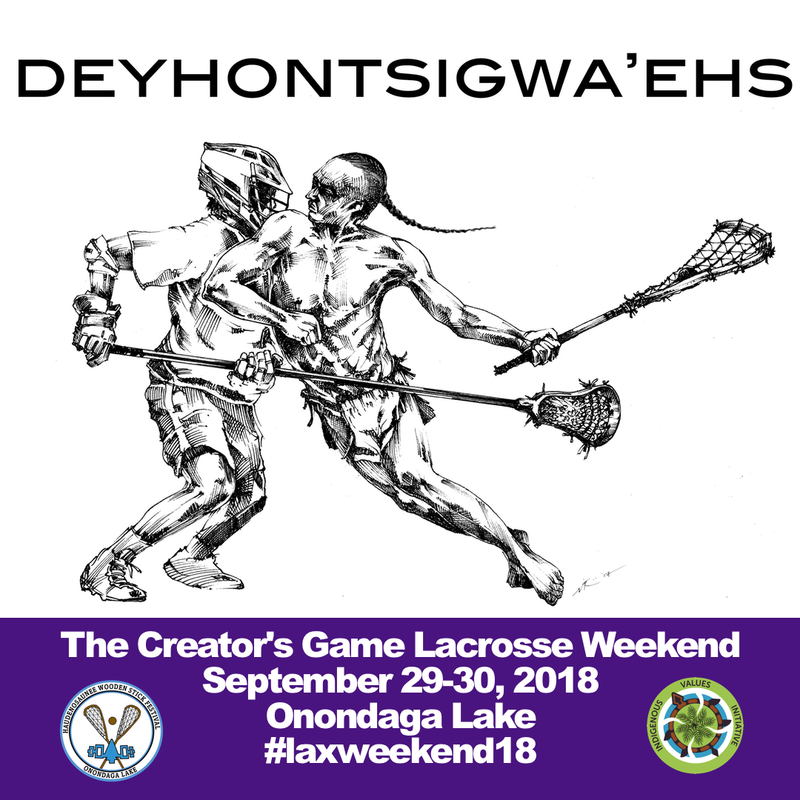 Download the alternate Print Black and White Deyhontsigwa’ehs––The Creator’s Game Lacrosse Flyer featuring “The Art of Lax” by Vincent Ricasio Flyer as a PDF. Download the alternate black and white #laxweekend18 flyer as an image. 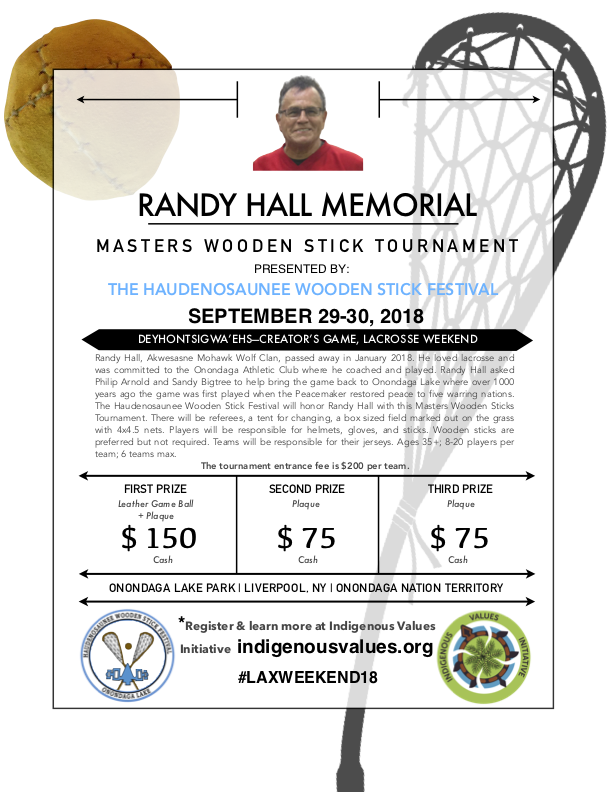 Download the The First Annual Thohneñ’datek Randy Hall Masters Wooden Stick Lacrosse Tournament Flyer as an image.